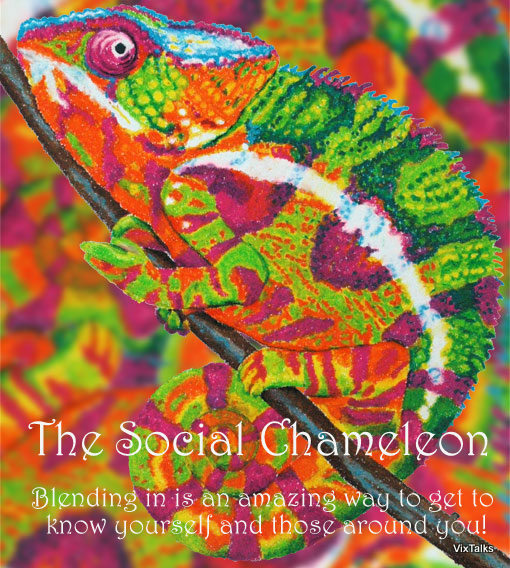 What is “The Social Chameleon” you ask? This person tends to be able to blend in with any group they find themselves in. Have you ever known the person that seems to just be able to talk to everyone? I seem to be that person. I have always been able to enjoy the company of any group of people that I find myself around. I just enjoy being with people and learning from them. Every person I meet has something to teach me or I them. That is what life is about. By nature social chameleon are important to society. They help to connect one group to another and spread ideas. They could almost be considered pollinators of a sort. Even though that is not what they do expressively.